A vacant property is every property owner’s worst nightmare. It means a loss in rental income. Without rental income, there is an extra out-of-pocket expense to pay towards the mortgage and utilities that could have been avoided. As a property owner, this is why it’s vital to keep the tenant turnover low. Below are top tips to ensure that your property stays rented with as little delay as possible. Tip #1: Offer referral fees. Offering a monetary incentive to your current tenants can help promote your vacancies to find a good tenant. The incentive could be, for instance, $100 per referral. A word of caution, though, always consider the history of the tenants that will be referring new tenants to you. Steer clear of tenants who have issues abiding by the lease agreement. For example, those that have been the subject of several noise complaints or those that are frequently late with their rent. Remember, birds of a feather flock together! Tip #2: Drive quality traffic to your website. Without emphasizing online marketing, you risk missing out on accessing a key portion of the renter market. Studies have shown that as much as 72 percent of prospective tenants search the web for new apartments. Having a website that looks professional is key. A website is a cost-effective way to get your property found by more potential tenants. Aside from looking professional, it helps if your website is optimized for search engine ranking so that it stands out. 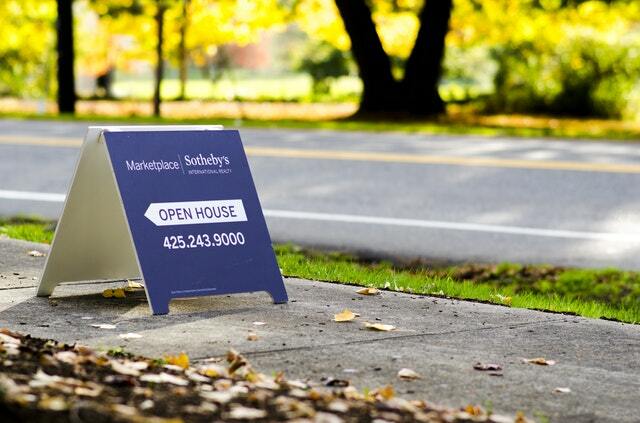 Tip #3: Write a compelling rental ad. You don’t need to be an expert copywriter to write a compelling advertisement. But you need to make sure that your rental listing stands out from the rest. High-quality photos, perks, and catchy descriptions are the points that can help sell a property quicker. The ad should be short, crisp, attractive, and informative. So choose your words wisely and use them carefully. Tip #4: Network with those in your community. Are you marketing to a tight-knit community? Networking also goes beyond advertising and social media. 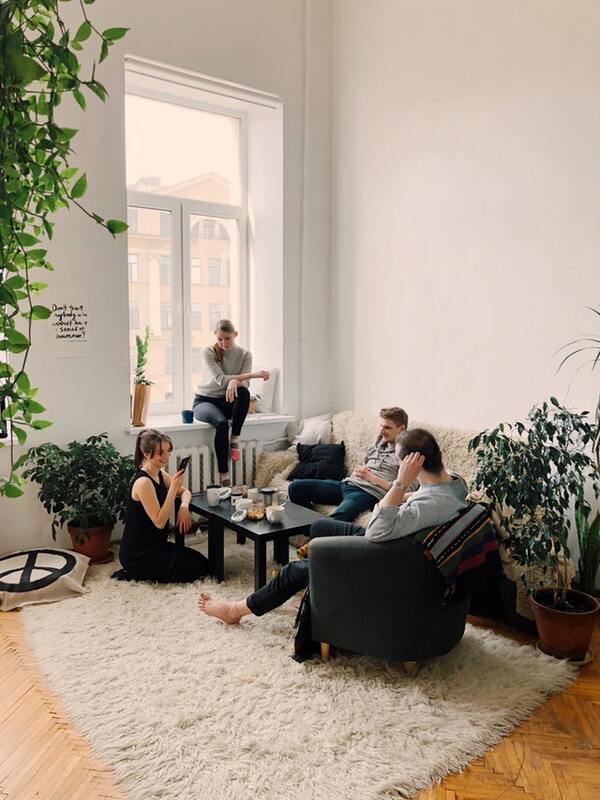 It’s also about personal connection, according to a Boston real estate tycoon – Michael Carucci. Tip #5: Use free rental listing sites. The idea here is to expose your vacant rental property to as many eyeballs as possible. Rental listing sites can help you with this. Did I also mention that it’s free to post there? There are literally hundreds of rental listing sites. The following are perhaps the most popular ones. These sites have hundreds of thousands, if not millions of visitors each month. When placing an ad on any of these sites, make sure to include detailed descriptions and high- quality images. Tip #6: Put up “For Rent” signs. “For Rent” signs are still a powerful way to attract tenants who already have a connection with your area. These signs have two major advantages: cost effective and neighborhood help. As you probably know, “For Rent” signs are generally inexpensive. You can get one made for $20. Alternatively, you can buy a generic sign and a frame from your local hardware store and make one yourself. Neighbors have a vested interest in who lives next to them. As such, they may very well help you find a quality lead. They may know someone (or someone who knows someone) who is looking for a new place to rent. 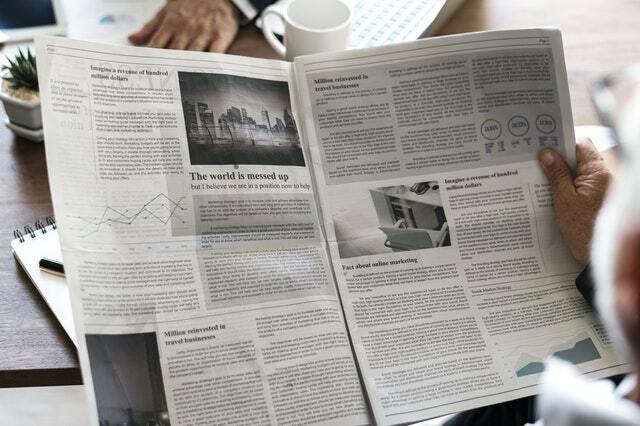 Tip #7: Place an ad or two in the local daily. This may sound surprising, right? But even in the digital age, newspaper adverts, much like “For Rent” signs, still do work. When writing the ad, make sure to include as much information about your property as possible. Your description should also include high-quality photos of the property. Also, remember to include things like the size of the property, your location, and contact information. You should also state the deposit and rent amounts as well. Tip #8: Hire a property manager. Managing a rental property isn’t an easy task. It’s a task that requires a number of distinct skills that you may or may not have experience with. Skills like marketing, bookkeeping, and understanding of landlord-tenant laws, maintenance and repairs, and so on that you may not necessarily have. Or you may have them, but don’t have the time to manage your property. Doing these tasks can be extremely taxing. That’s why hiring a property manager makes perfect sense for some property owners. Just like other professionals, however, not all property managers are created equal. As such, make sure to do your homework before hiring one. Every landlord or property manager dreads a vacant rental property. High vacancy rates can easily turn a profitable rental business into a liability. 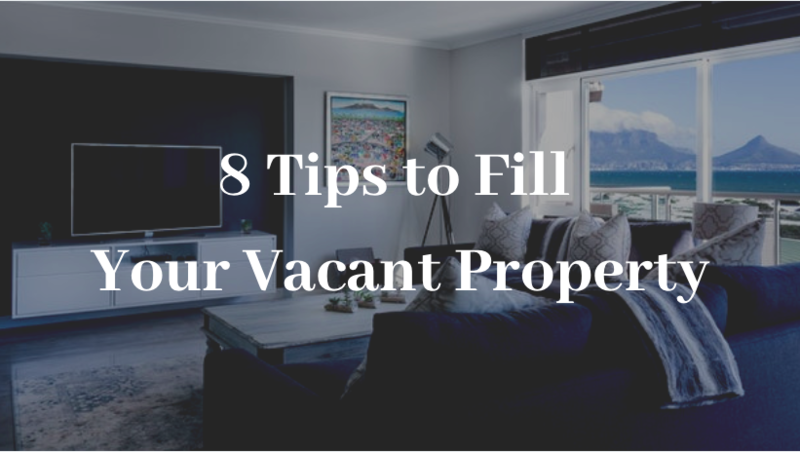 Hopefully, these 8 tips will help you fill your rental property quickly!